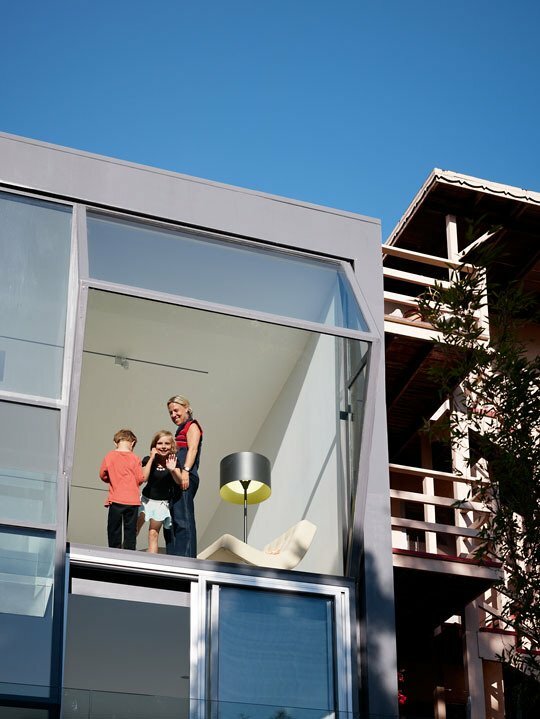 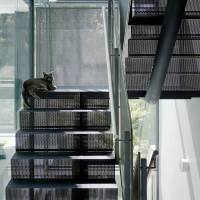 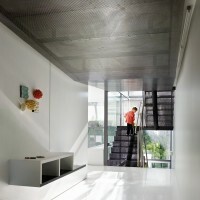 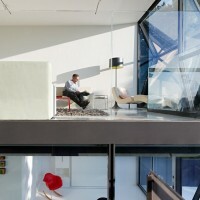 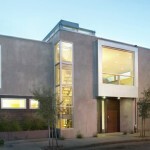 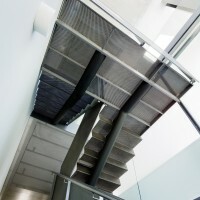 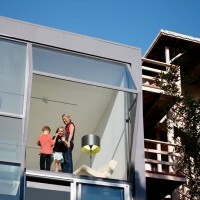 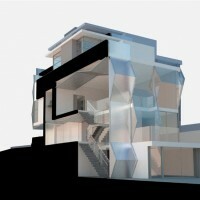 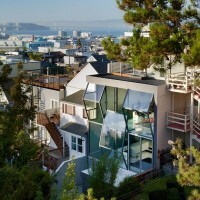 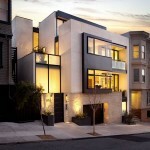 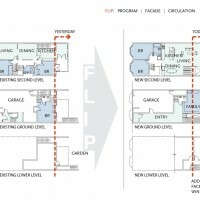 Fougeron Architecture have designed the Flip House in San Francisco, California. 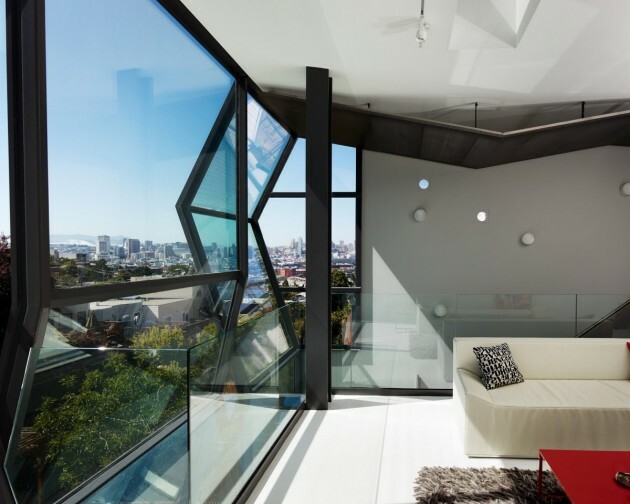 To reconnect an erratic San Francisco home to its striking landscape, light, and views and transform its confusing program with a new modernist aesthetic. 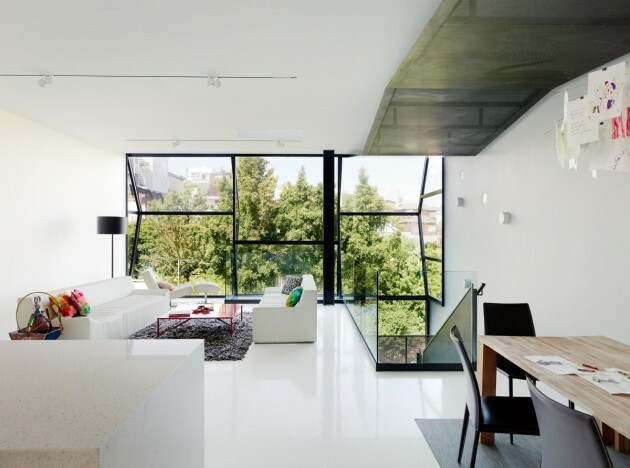 A complete flip of the home’s façade and interior spaces that reinvents its typology and captures all advantages of its natural and urban site. 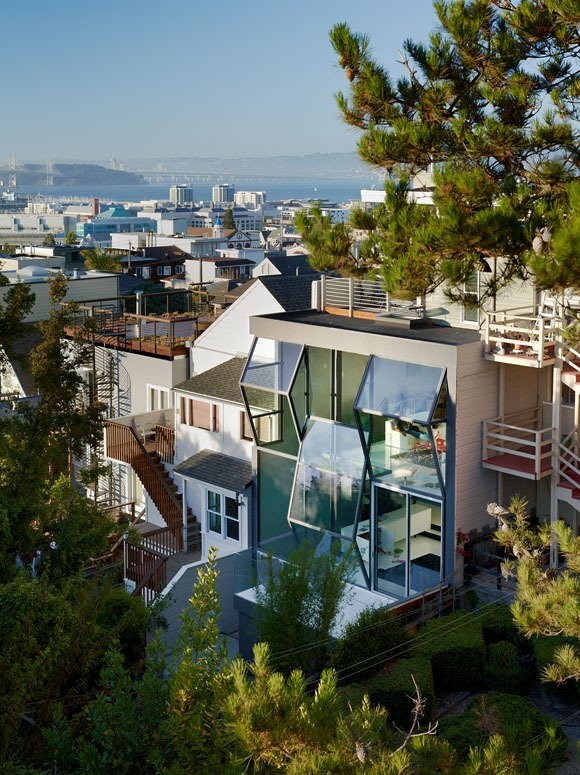 Like many San Francisco homes, this one poorly integrated its many levels with each other and with its sloping topography and solar orientation. 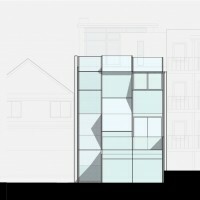 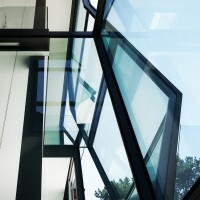 Reversing its reading, we recast the back of the house as its primary façade with a faceted, custom-built glass wall. 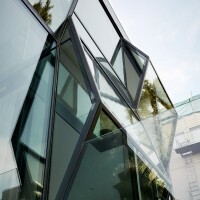 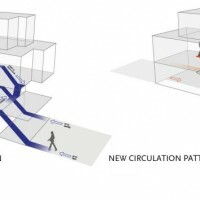 Divided into three vertical panels that push in and out, this dynamic prism brings animating light and spectacular views to the communal living spaces, now placed at the rear. 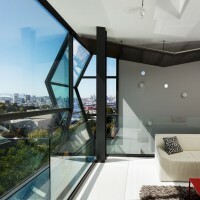 Bedrooms were flipped to the front.